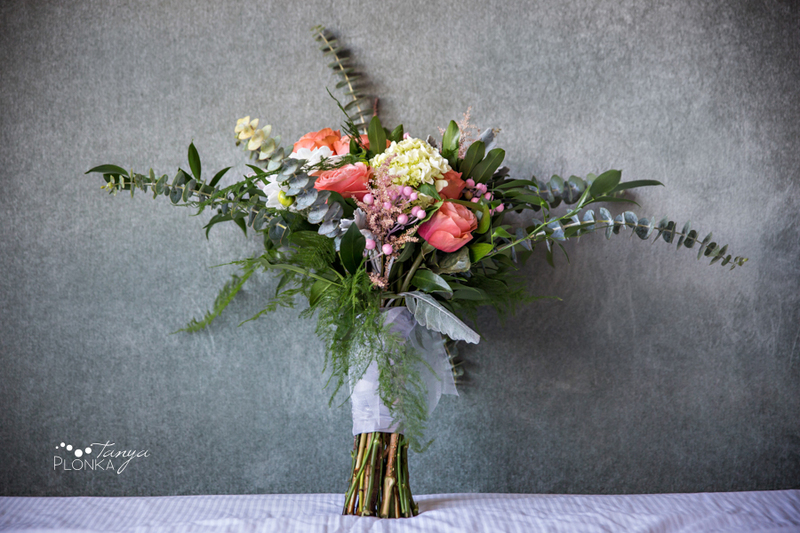 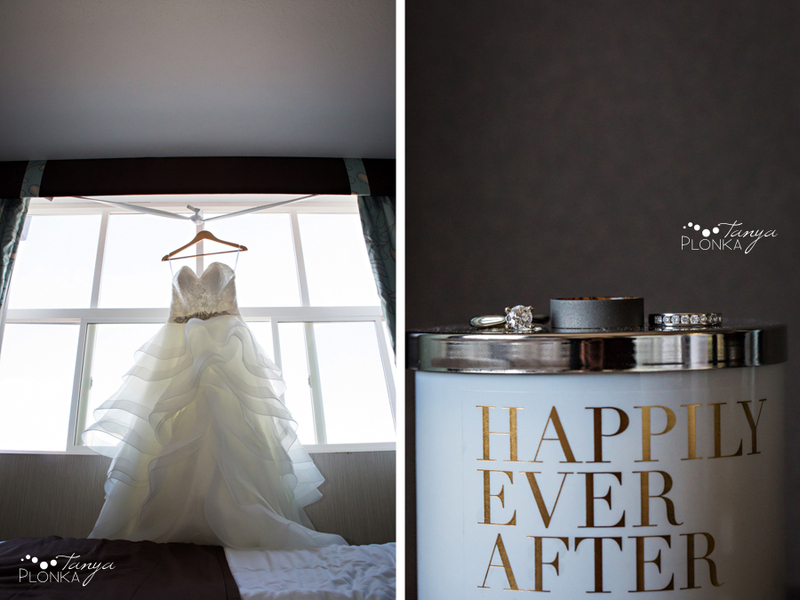 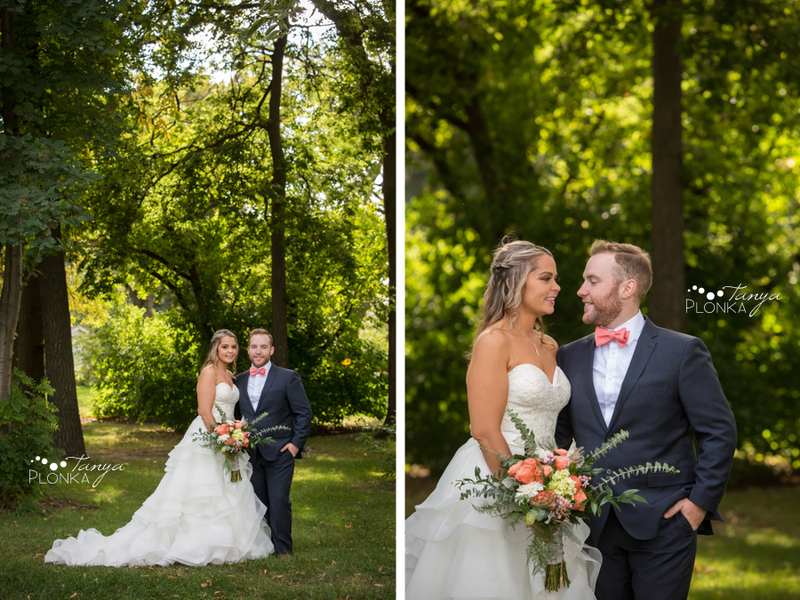 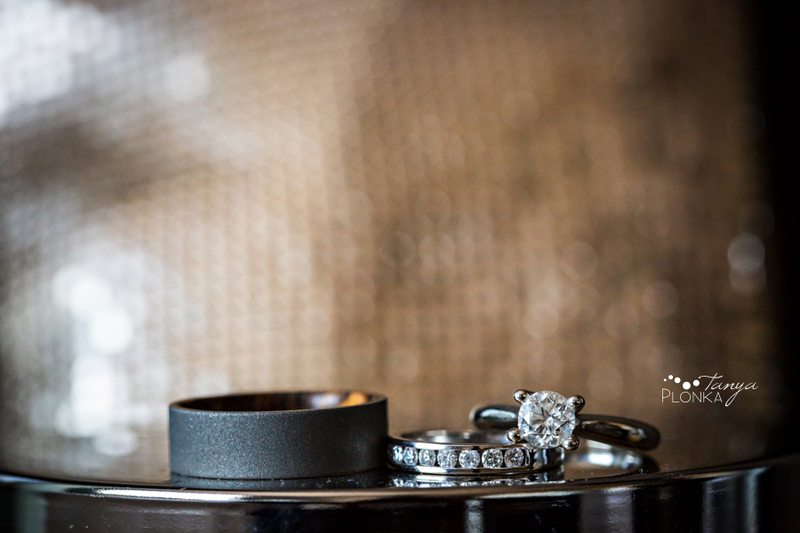 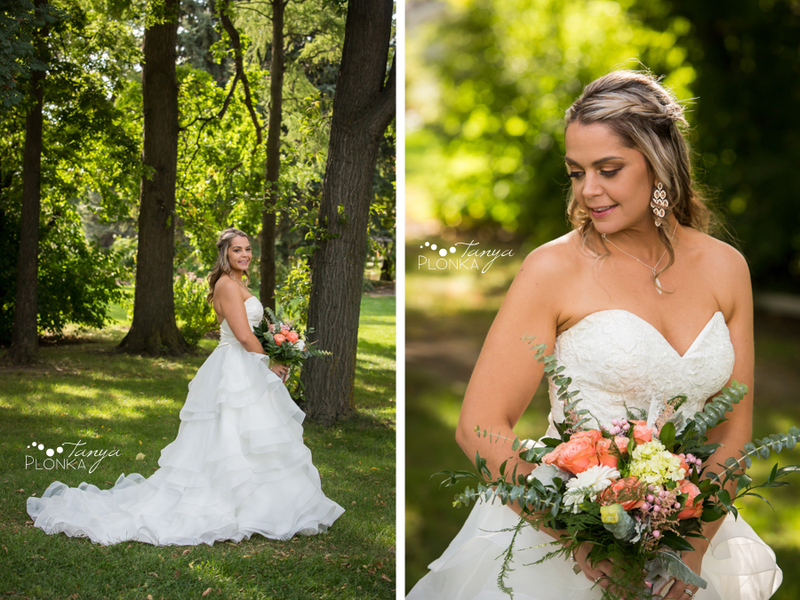 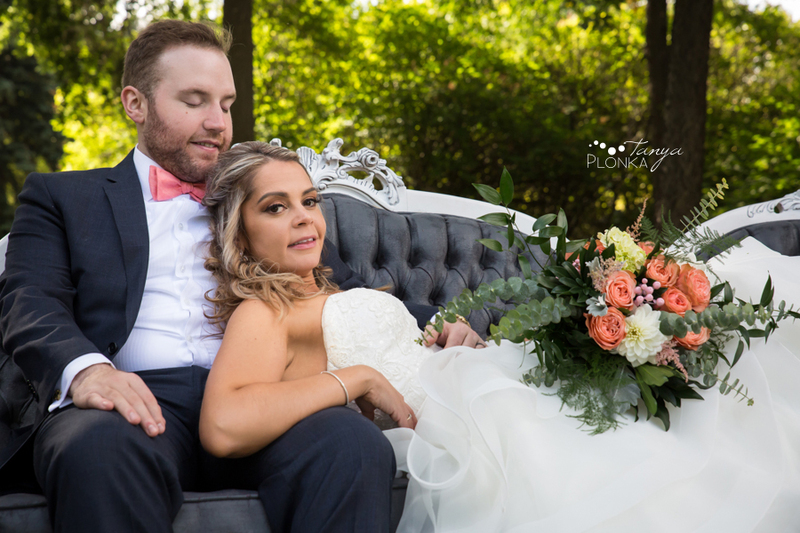 After Krysty styled her engagement session so beautifully, I was excited to see what she had in store for her wedding day! 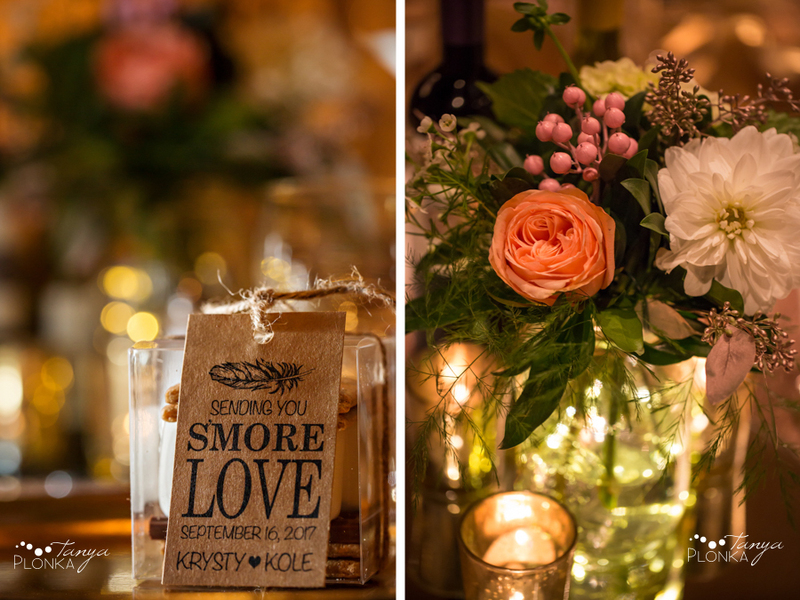 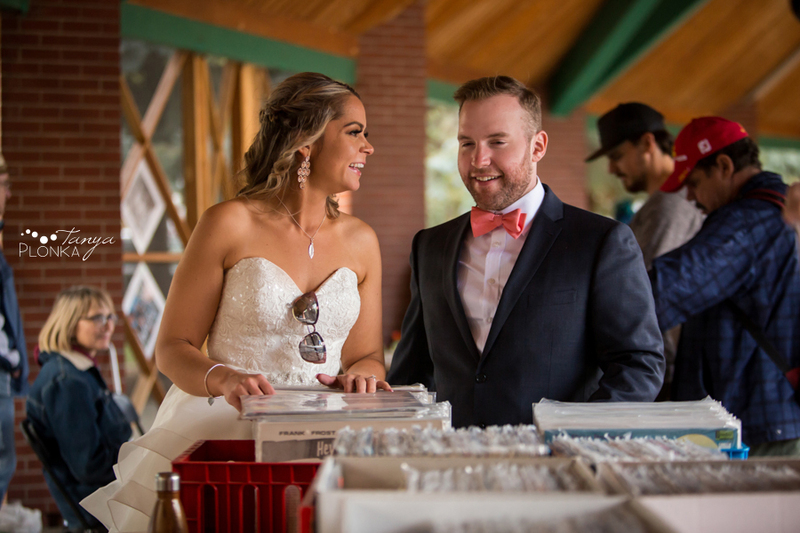 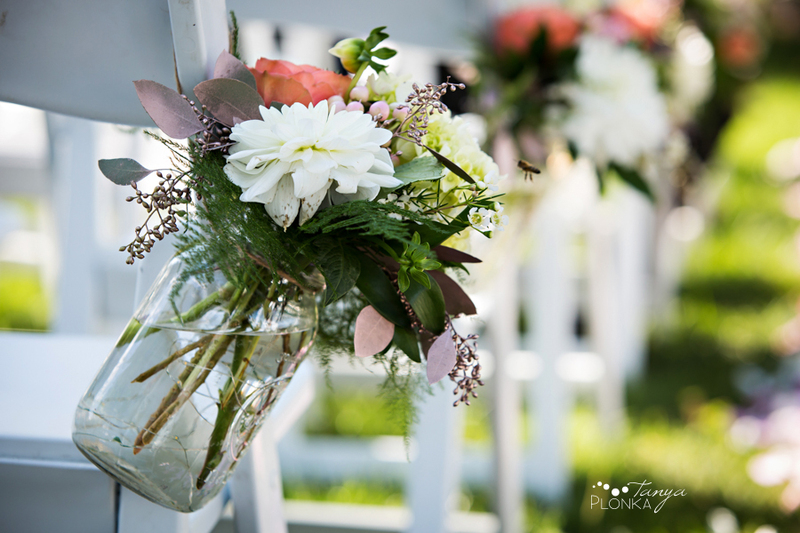 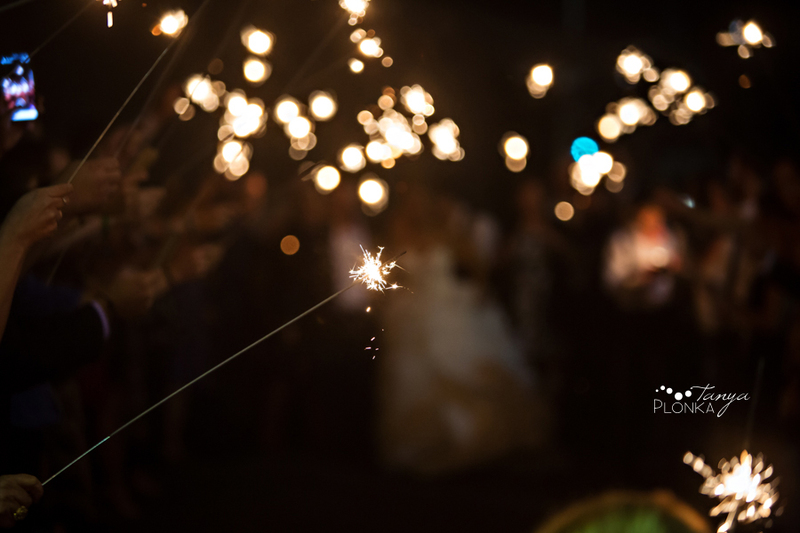 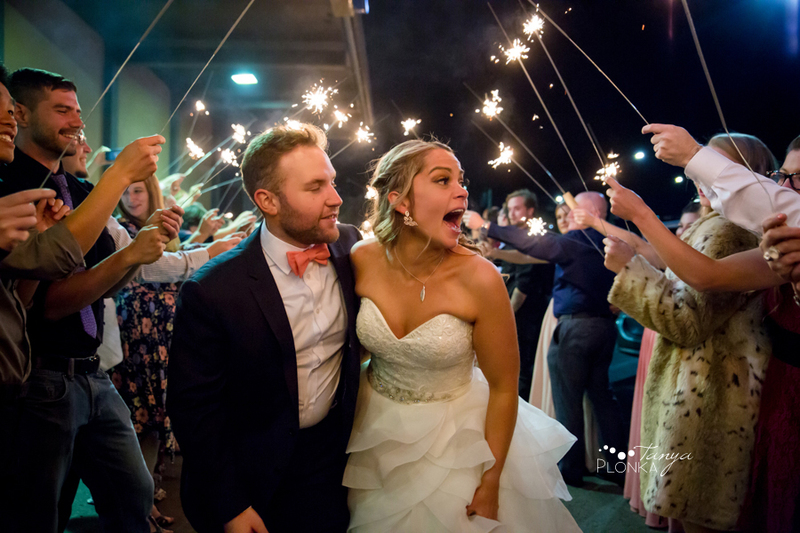 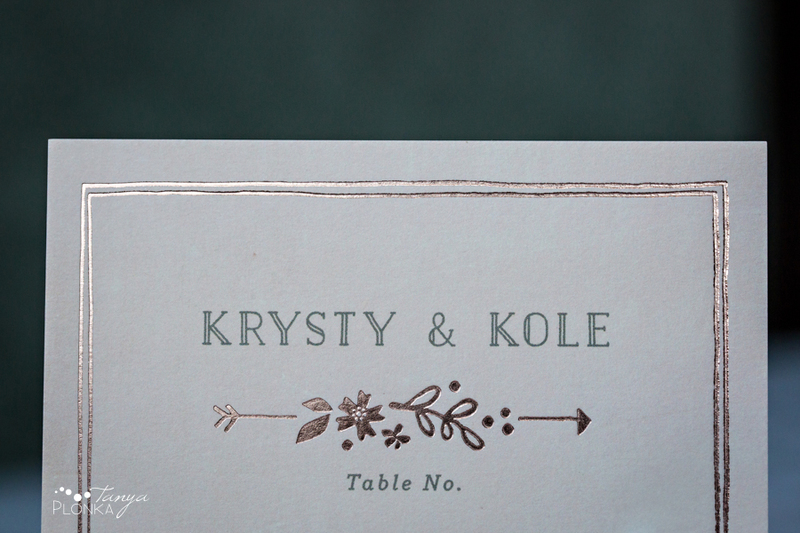 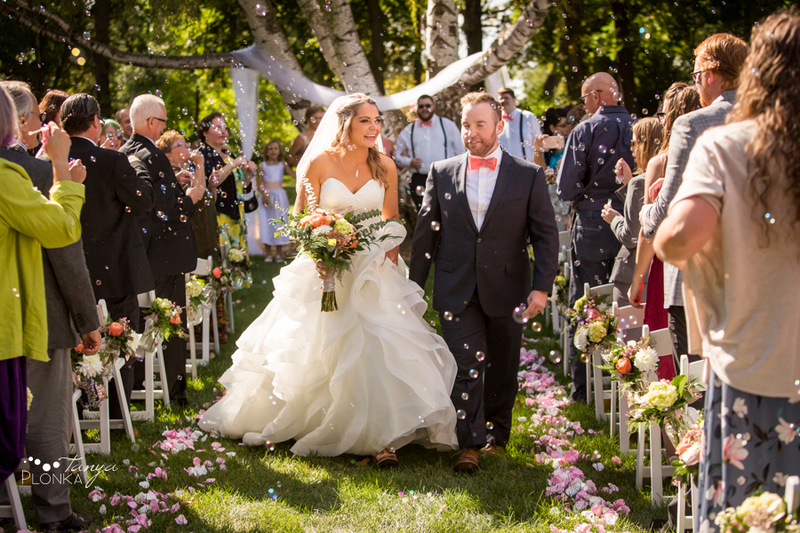 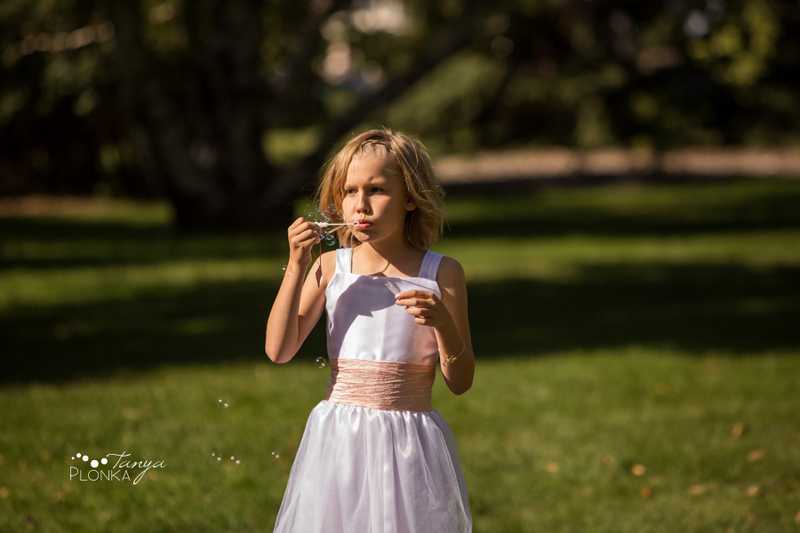 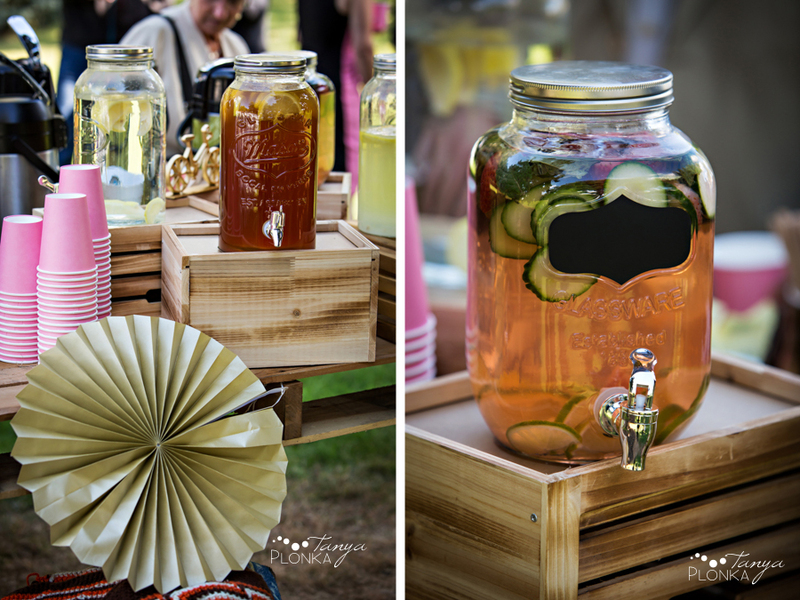 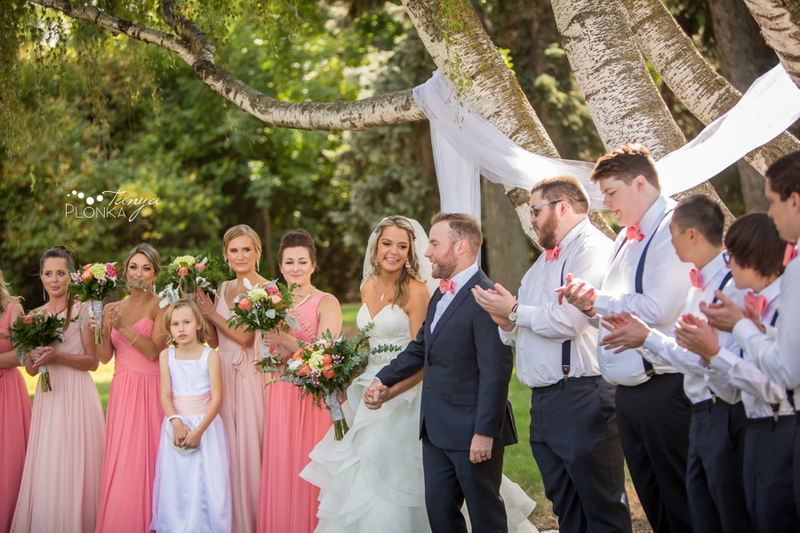 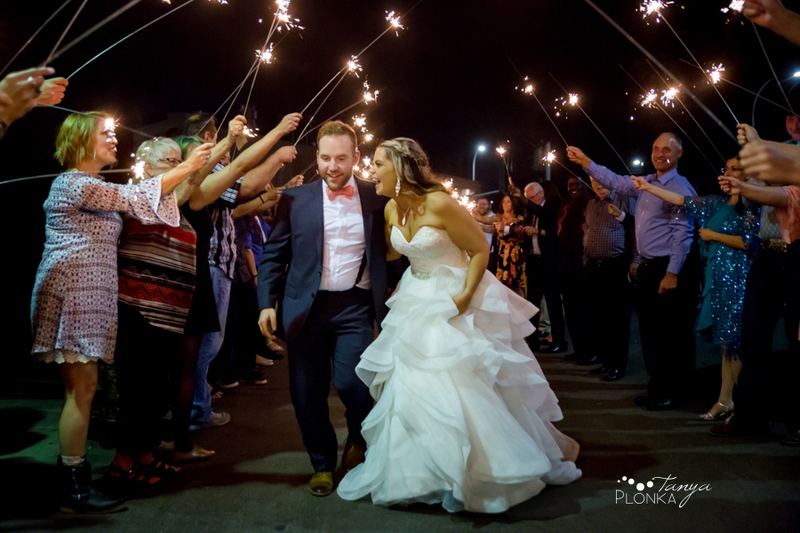 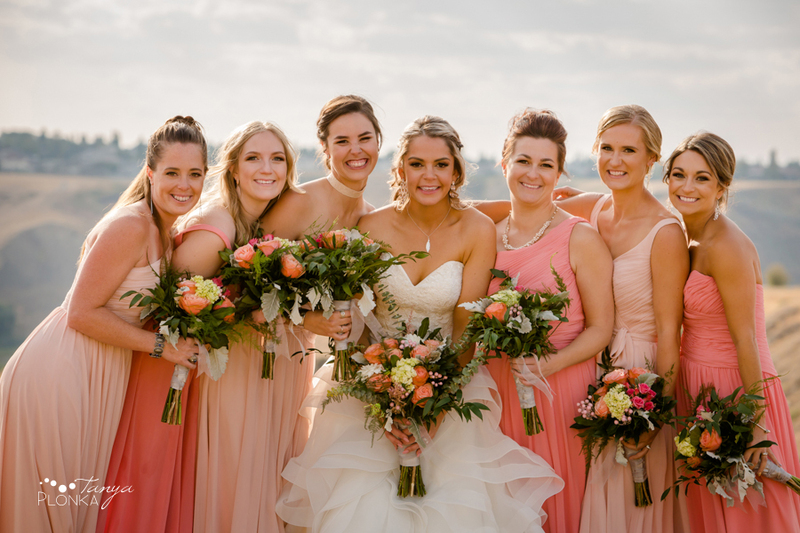 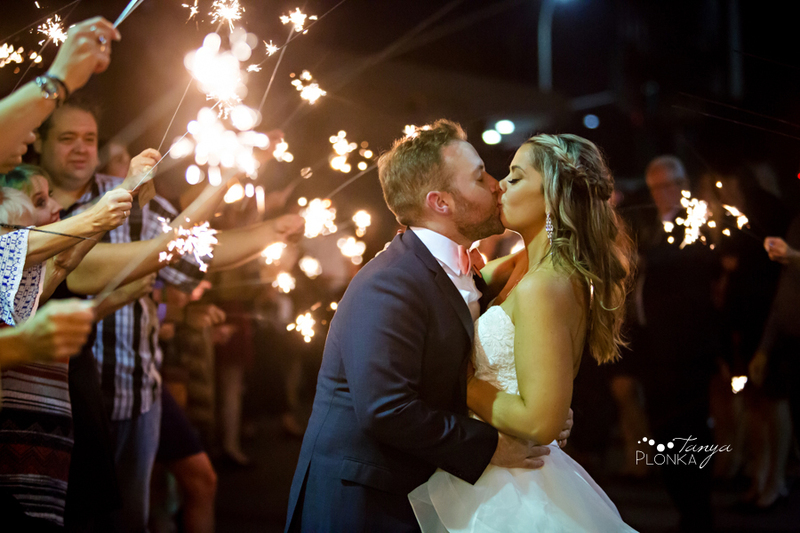 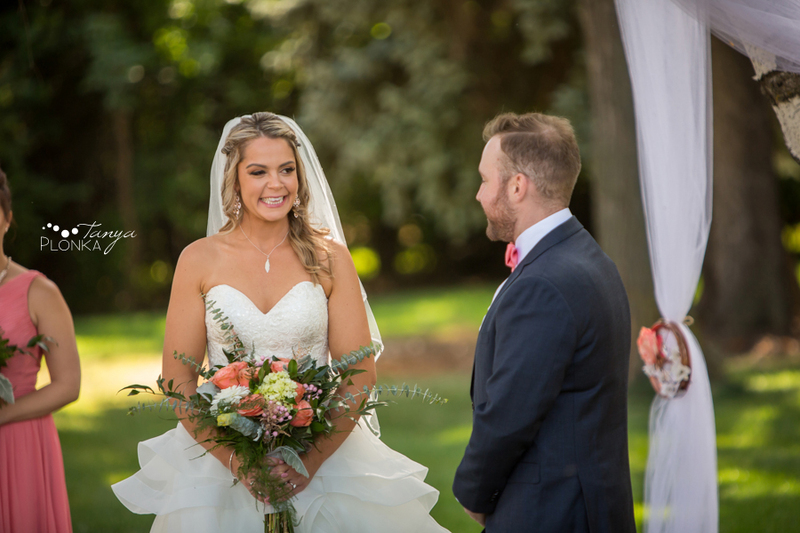 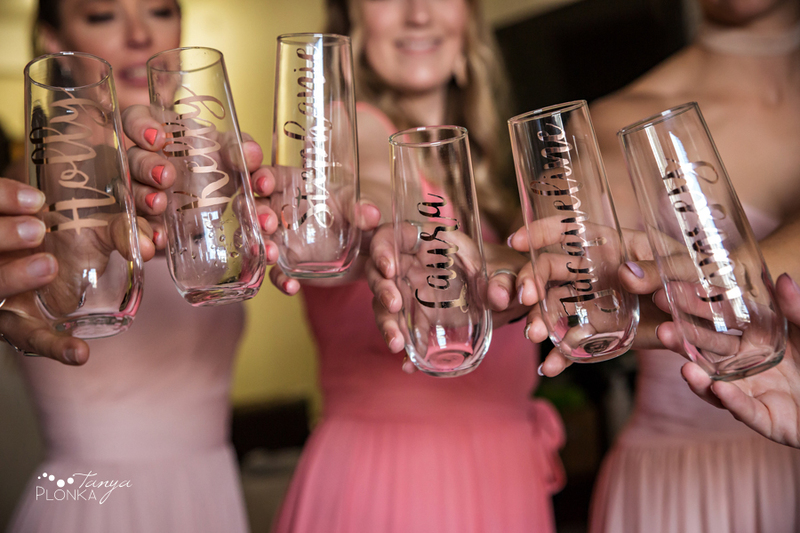 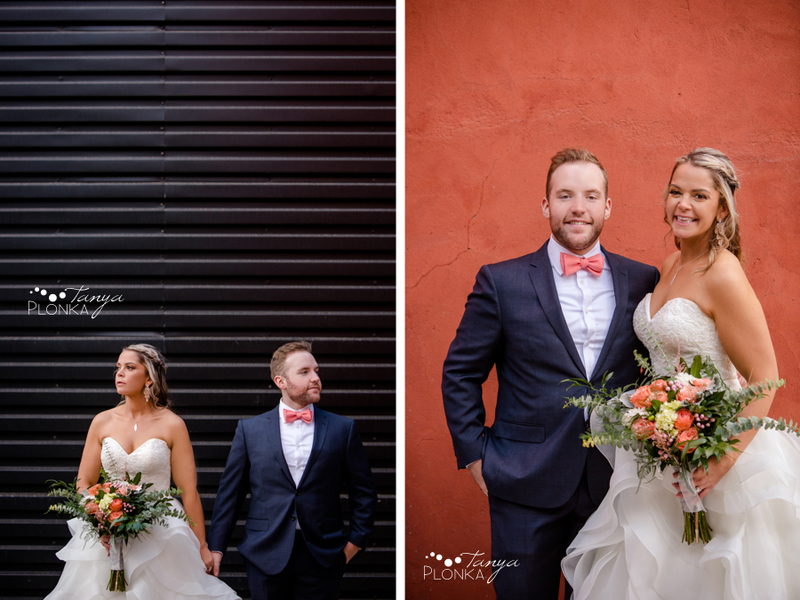 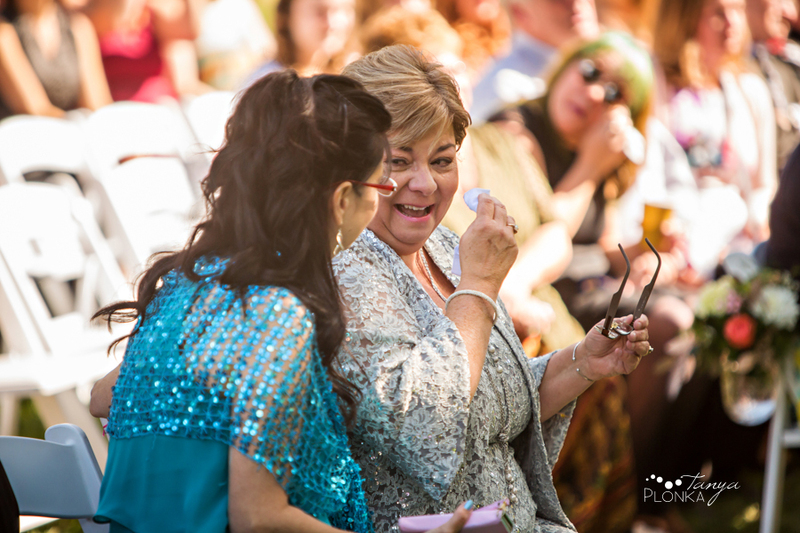 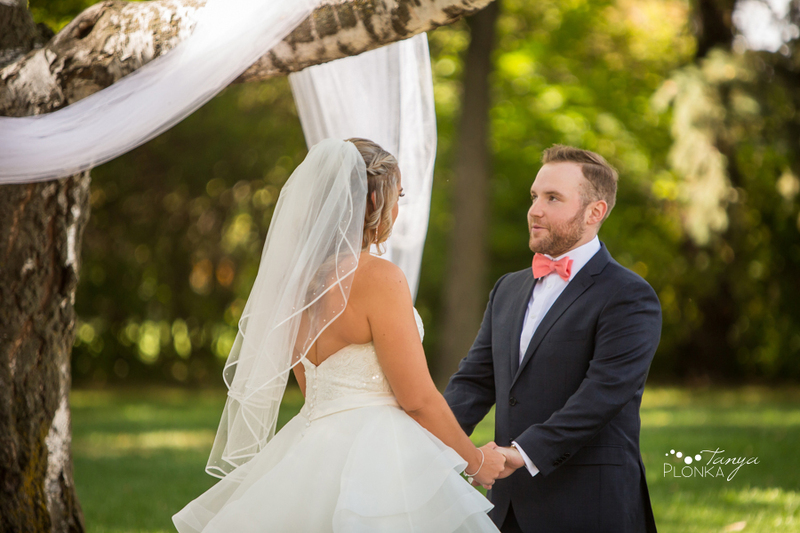 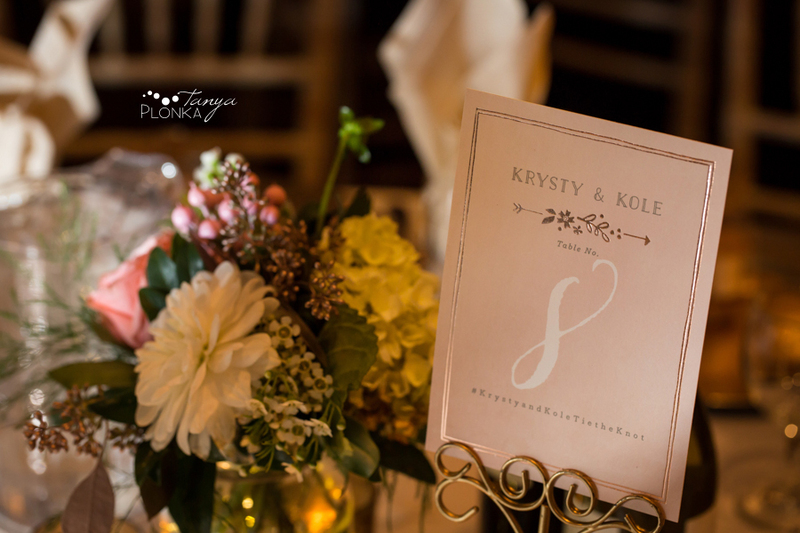 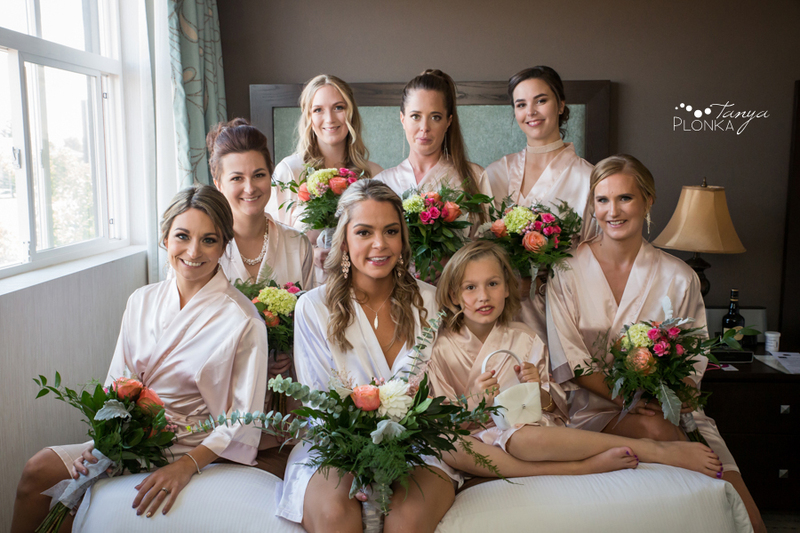 Her and Kole carefully planned out each beautiful detail of the day, from their lemonade stand to keep their guests refreshed at the ceremony to their 200 sparkler exit at the end of the evening. 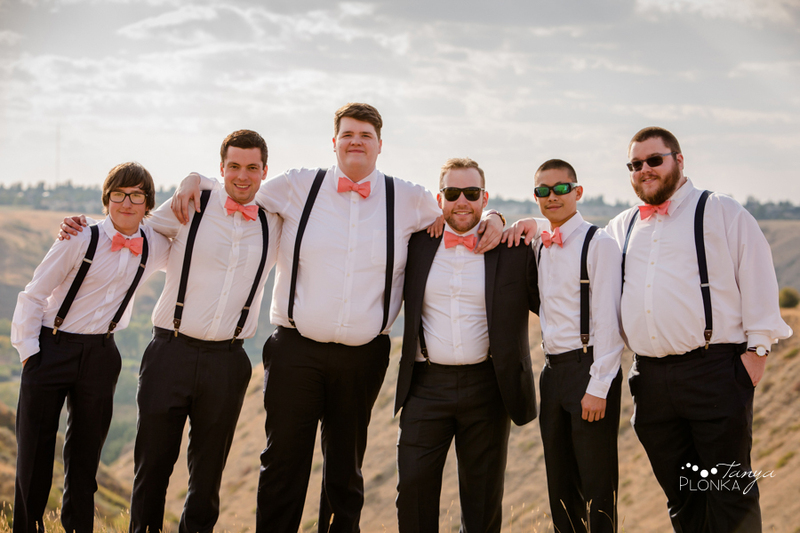 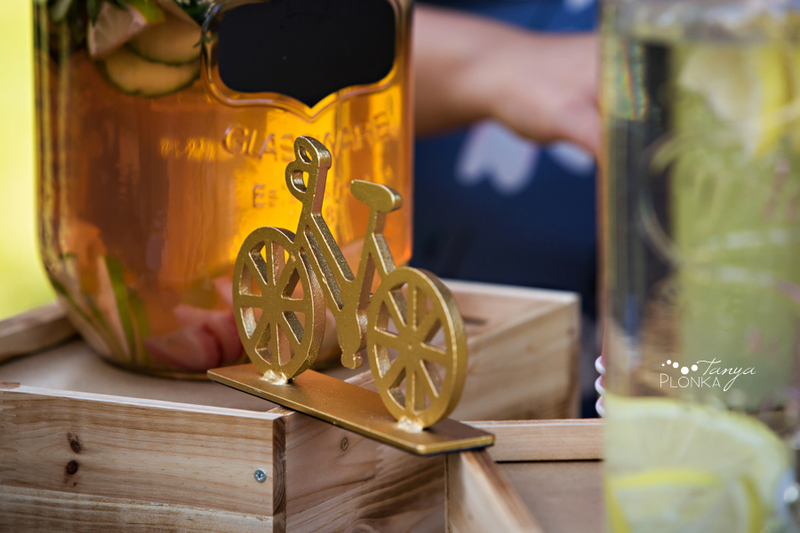 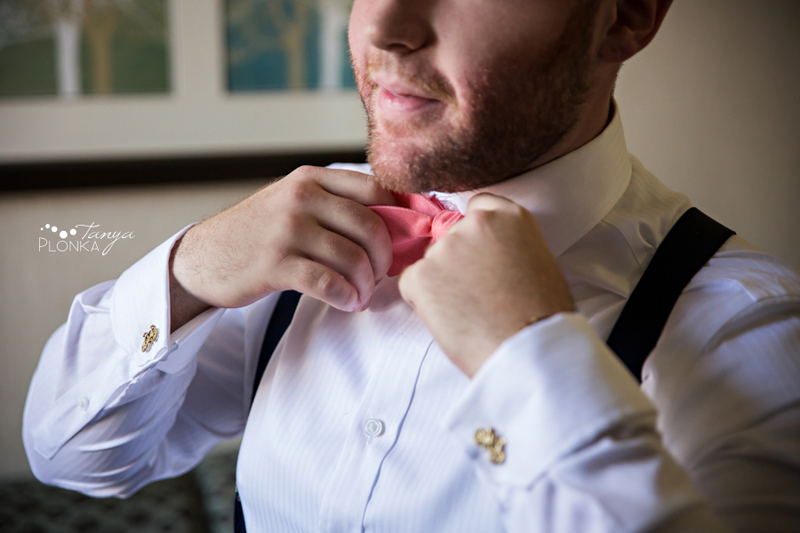 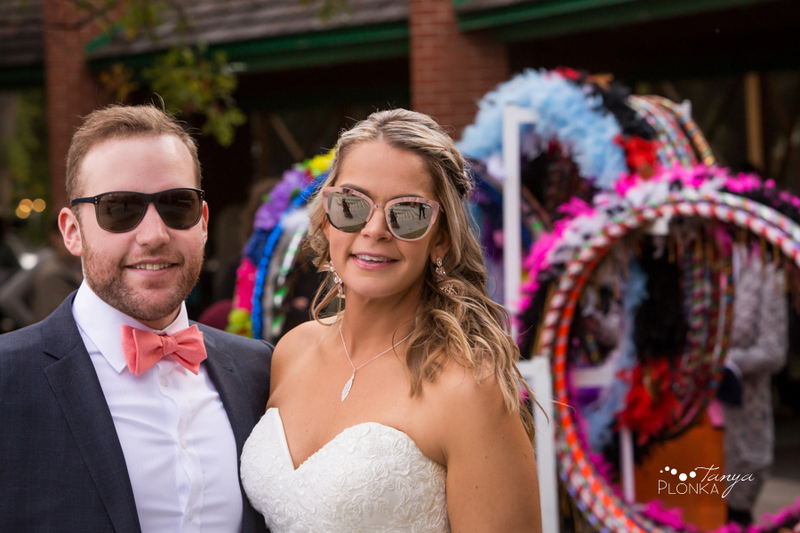 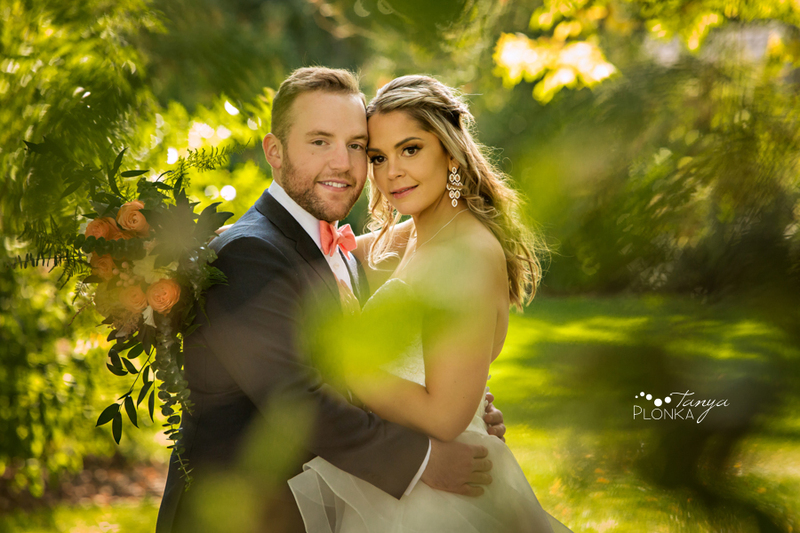 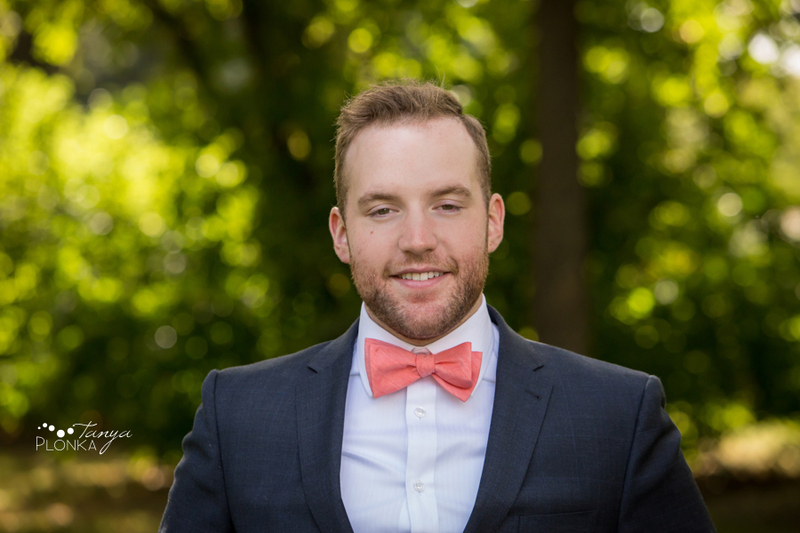 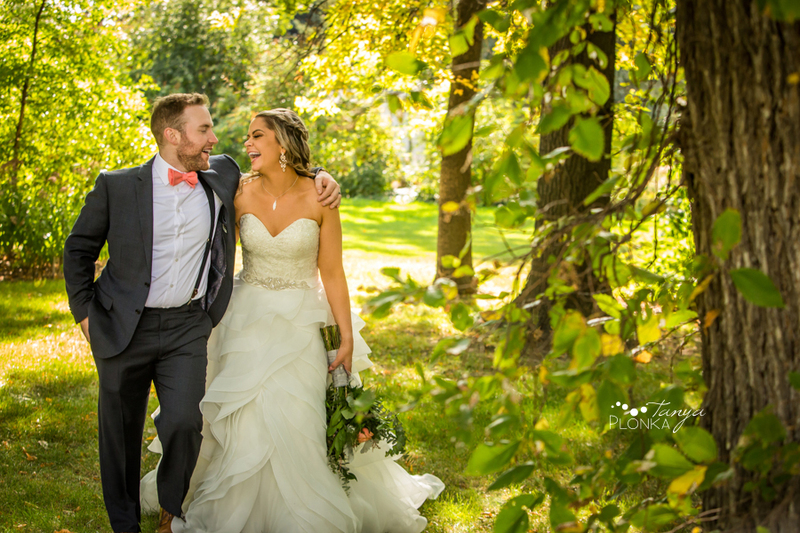 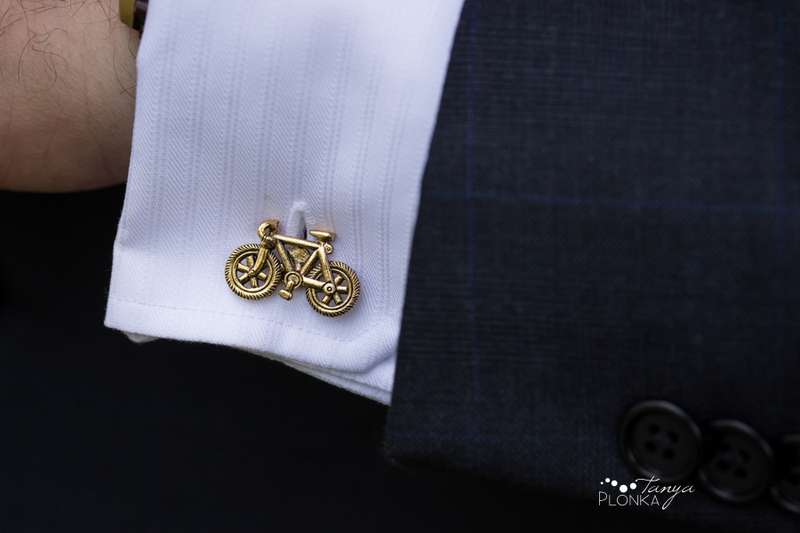 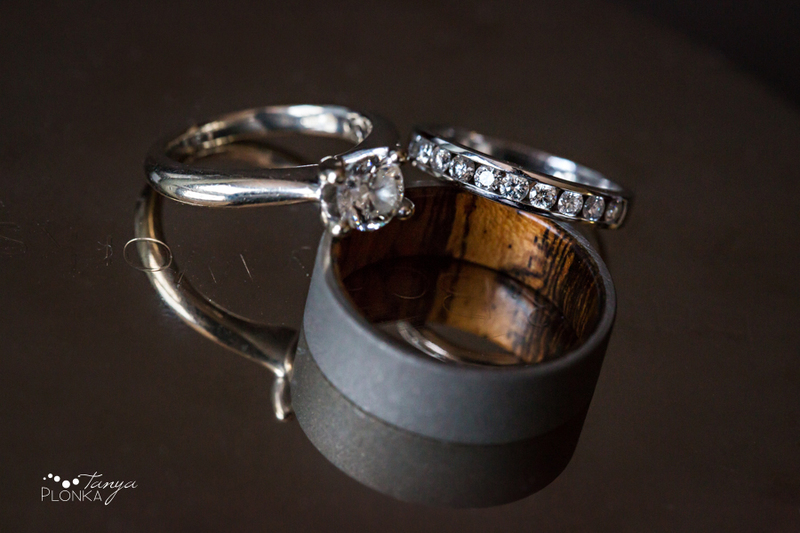 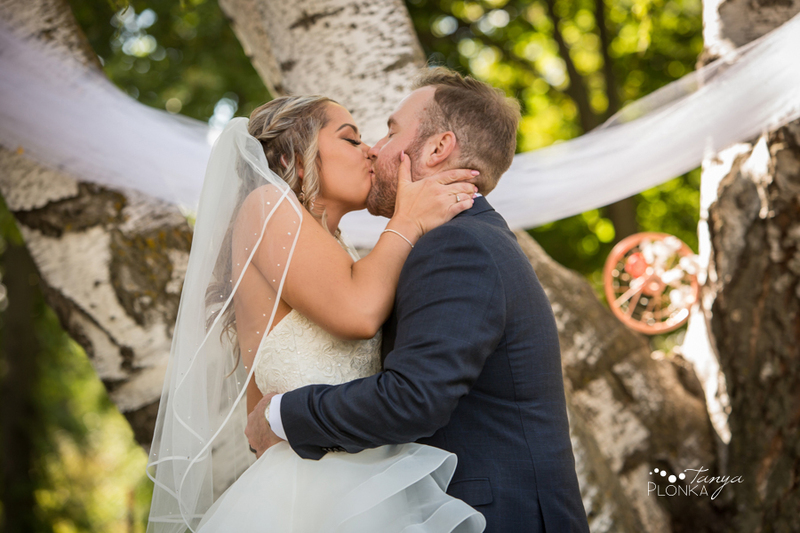 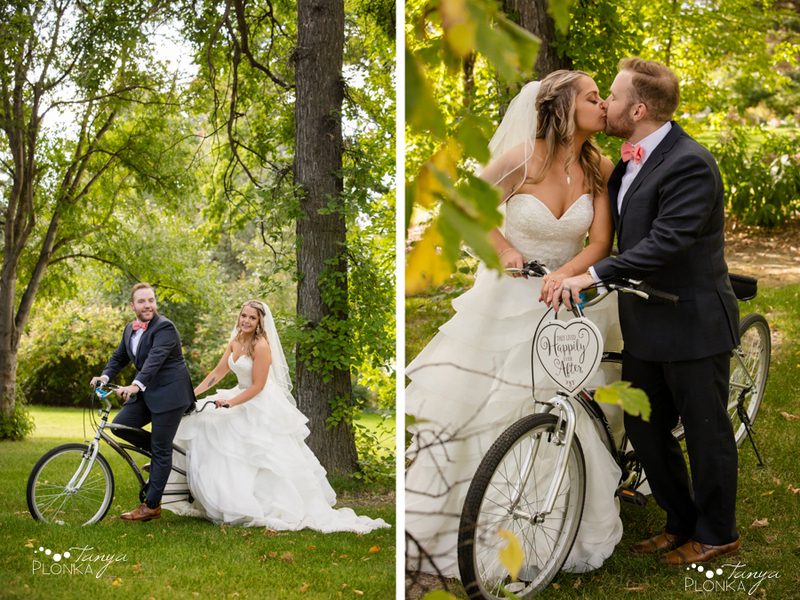 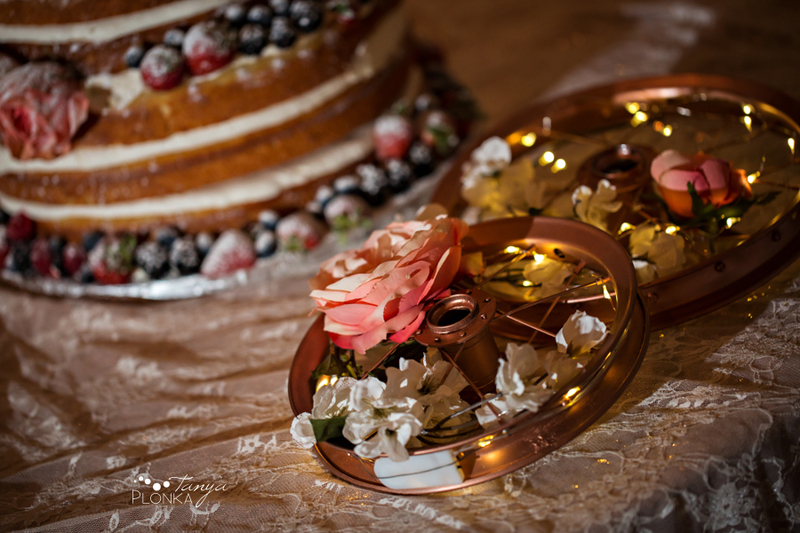 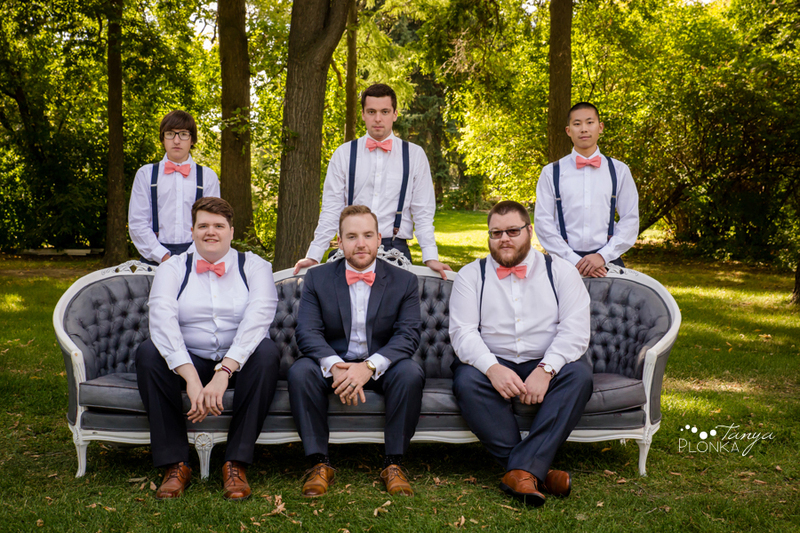 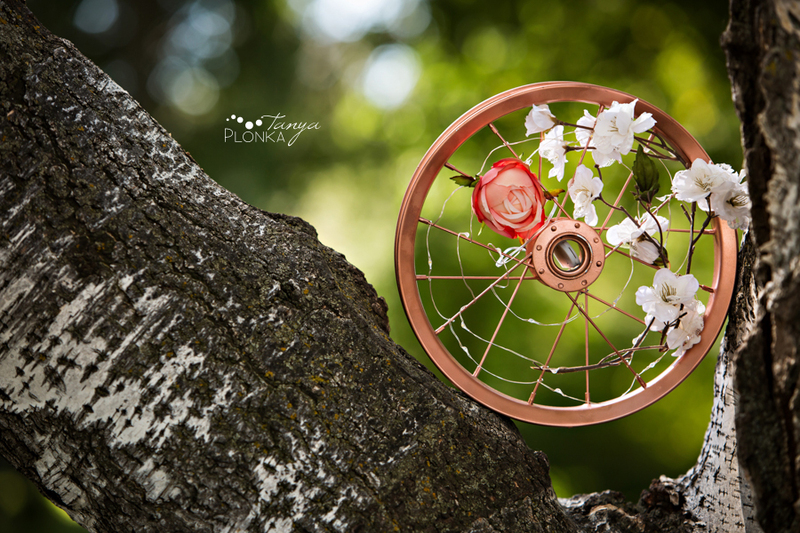 Continuing with the cycling theme, they featured gold-painted bicycle wheels as decorations, Kole wore cufflinks shaped like bikes, and they rented a tandem bicycle for their wedding photos. 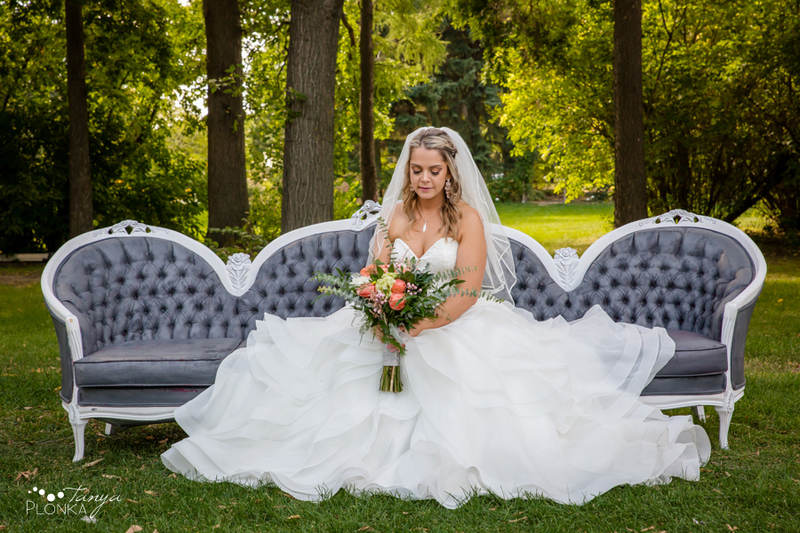 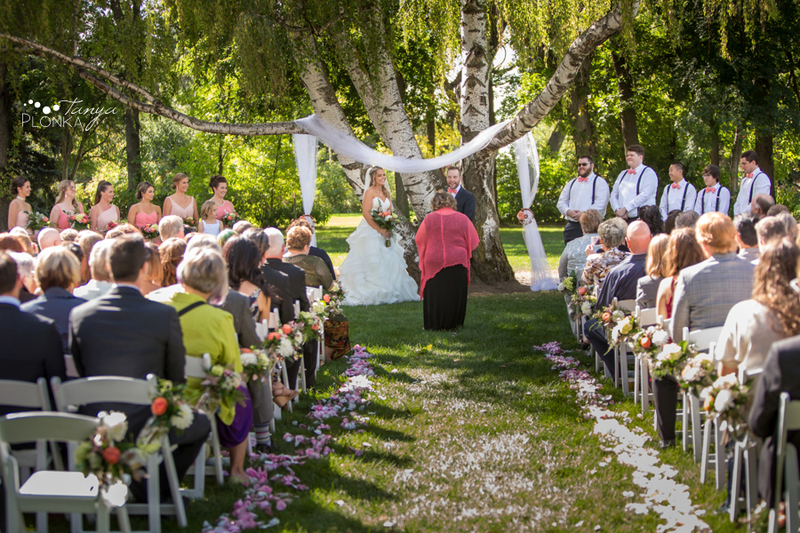 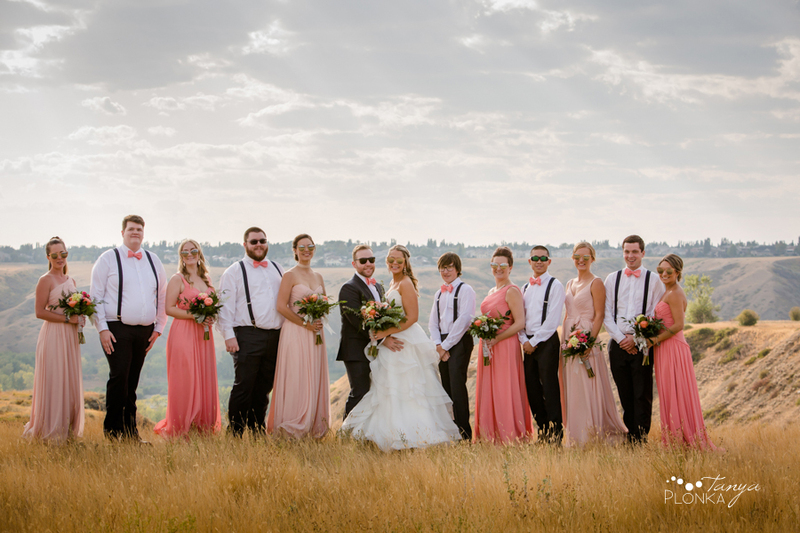 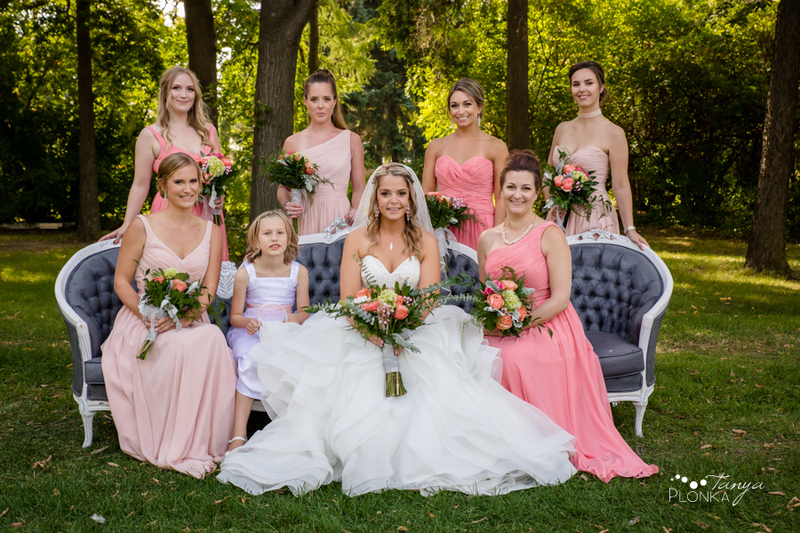 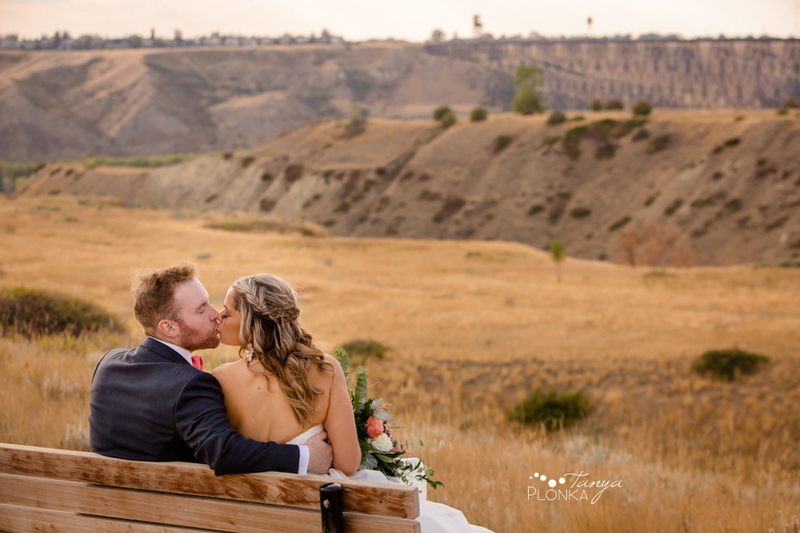 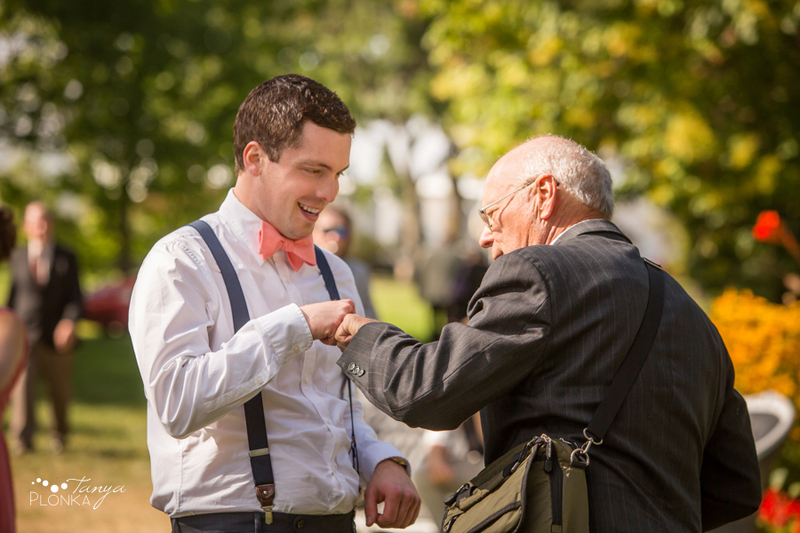 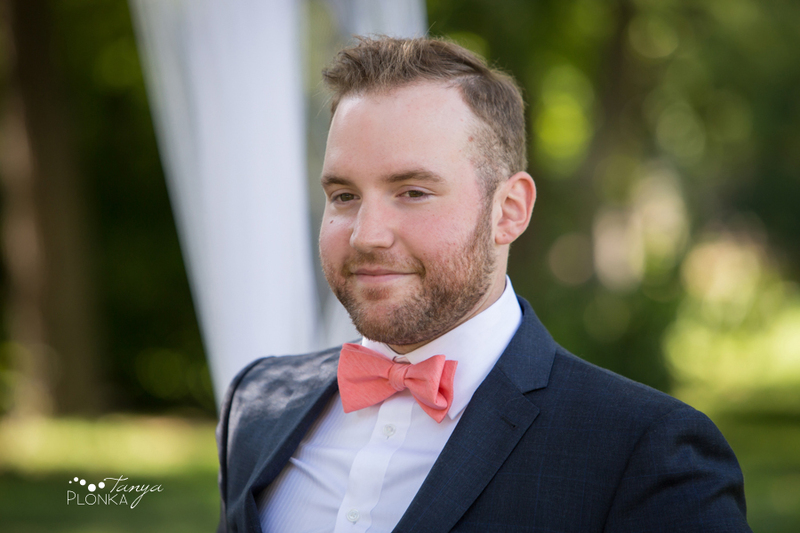 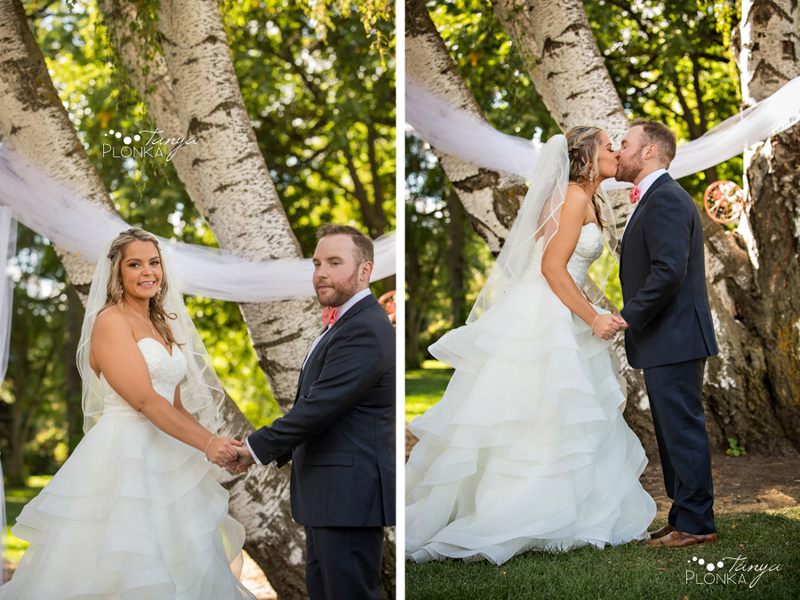 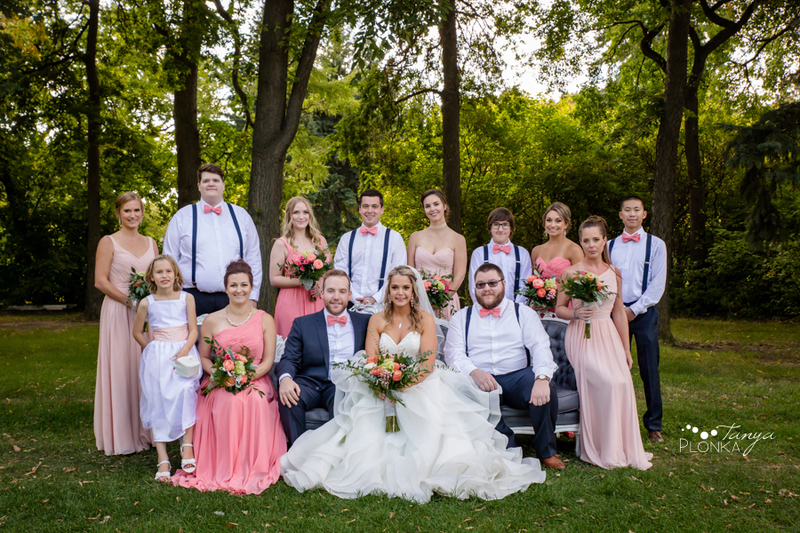 Their Lethbridge Research Centre outdoor wedding ceremony could not have taken place on a nicer day! 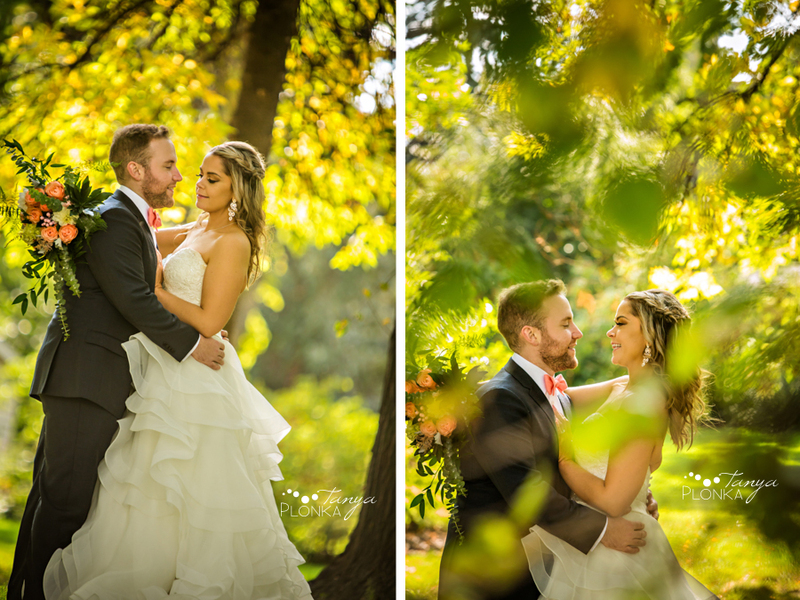 They had warm sunshine and no wind, while just a hint of the autumn colours were starting to appear. 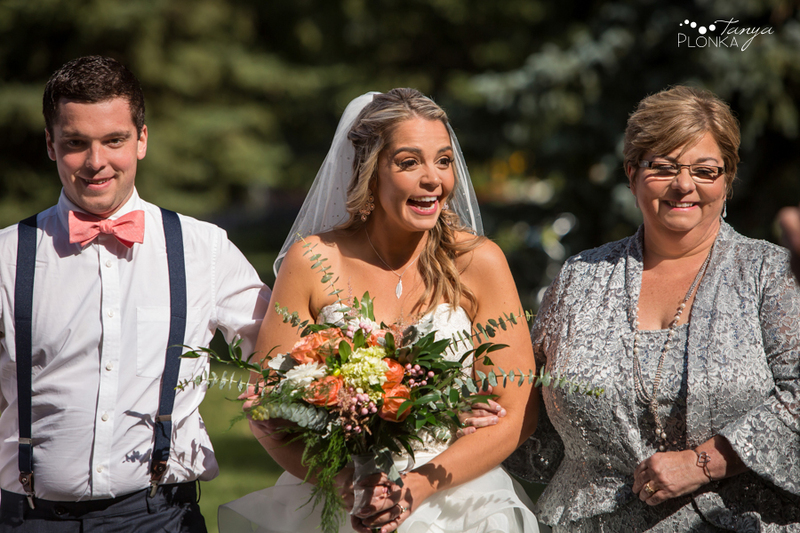 Their ceremony was so emotional with each of them fighting back tears through their huge grins. 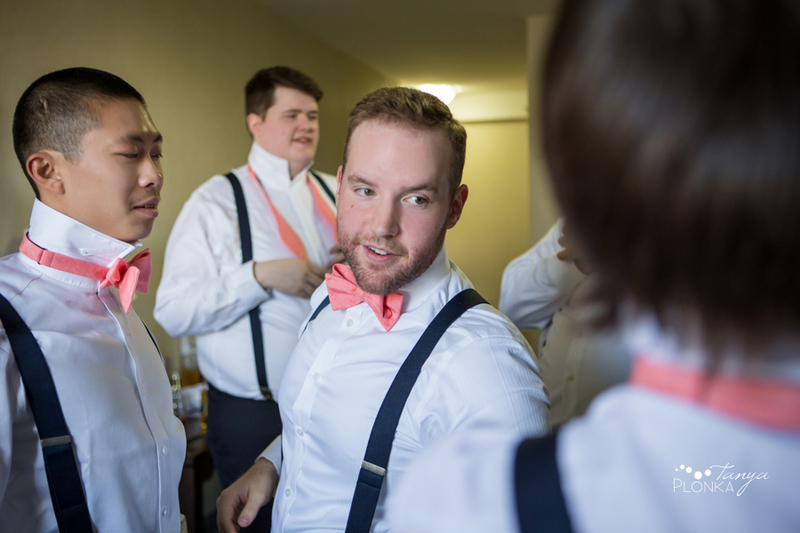 By reception time, everyone was ready to party. 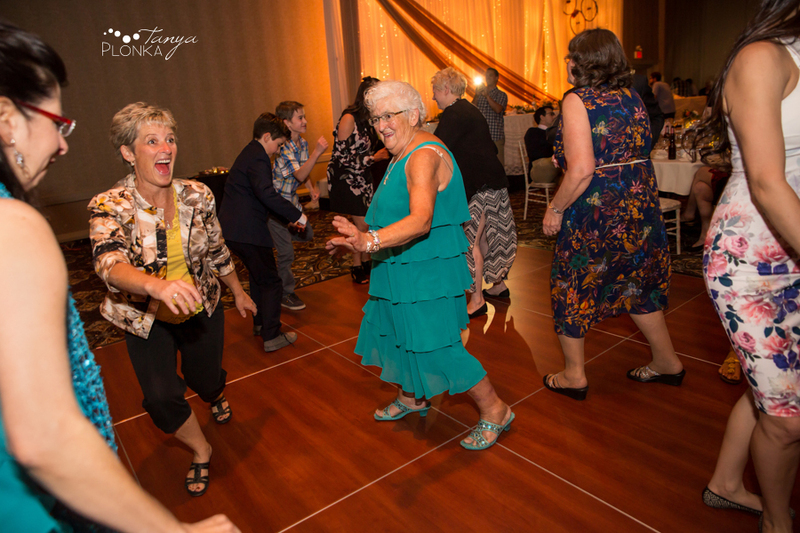 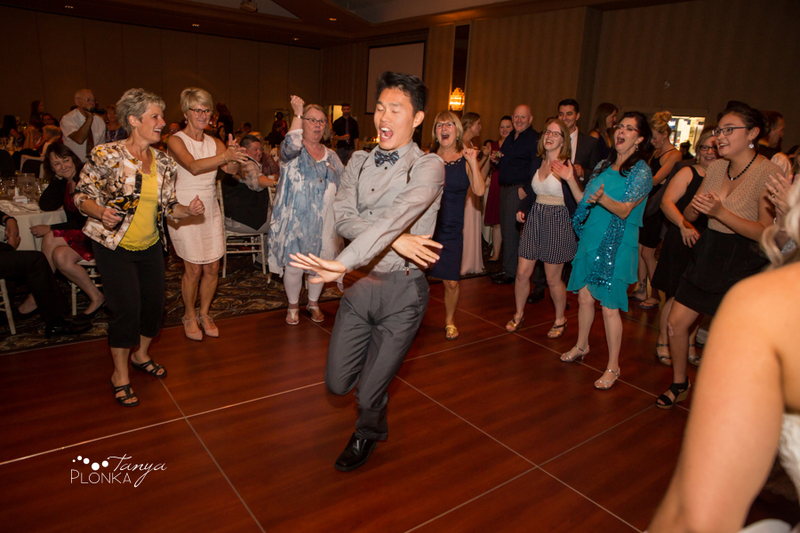 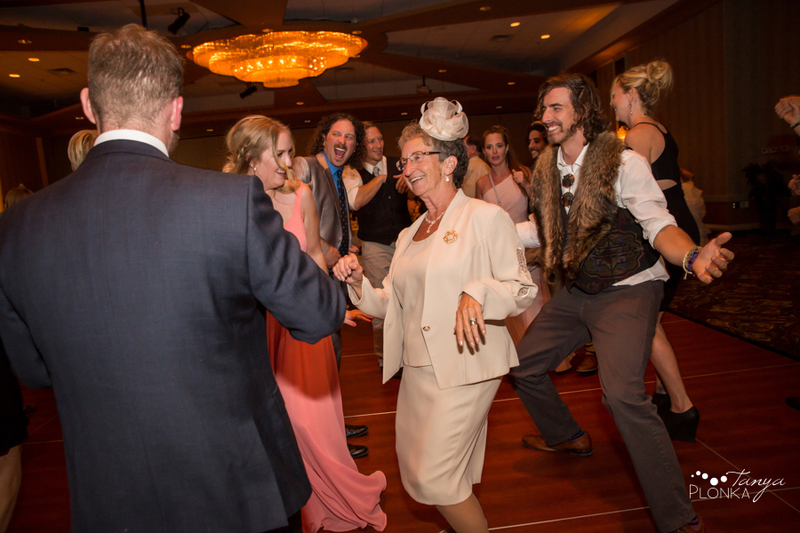 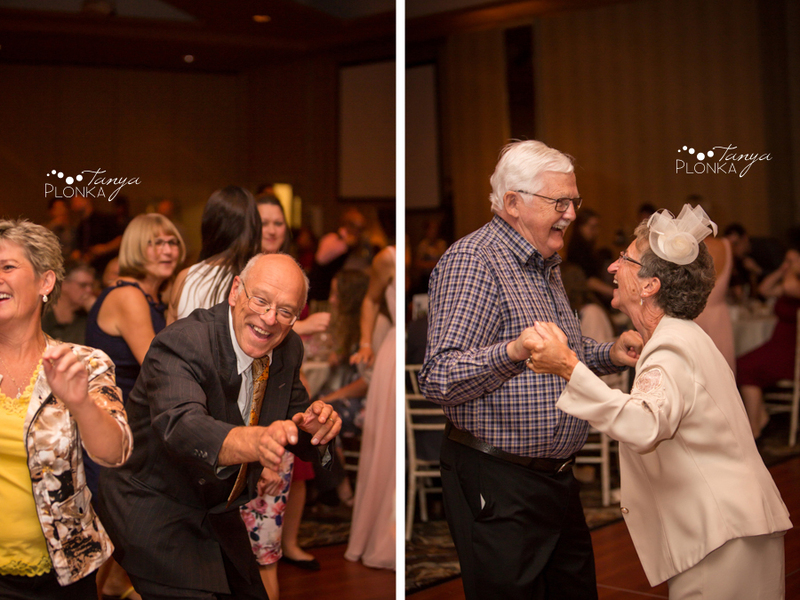 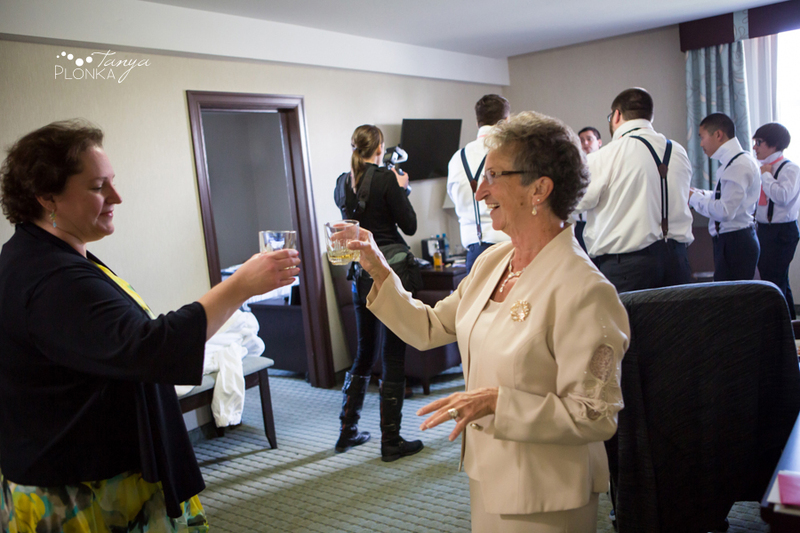 The dance floor was never empty and grandma danced more than anyone else there! 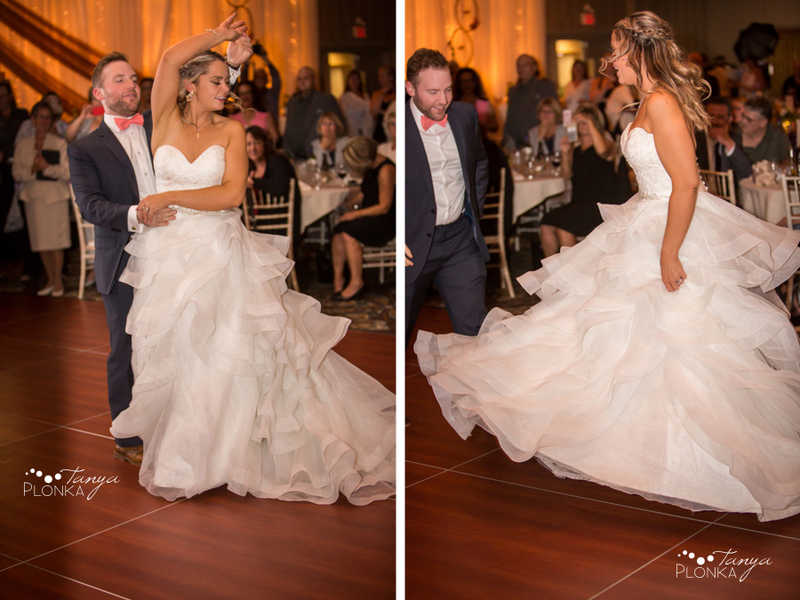 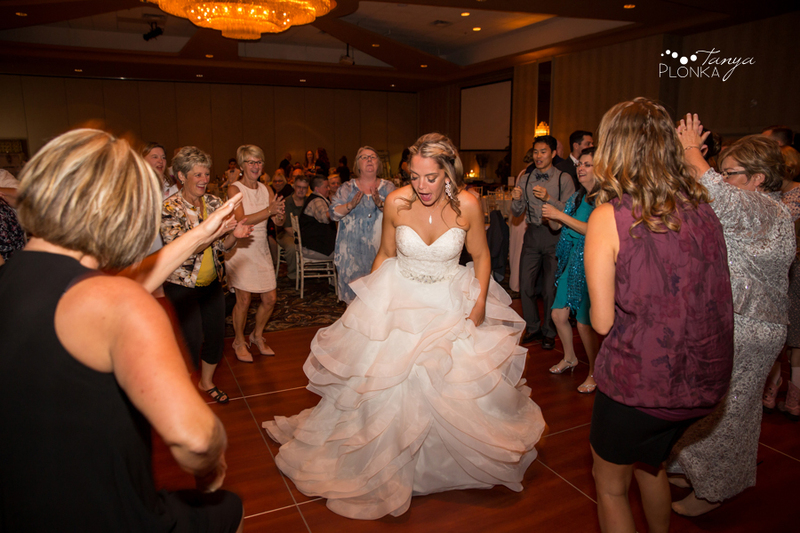 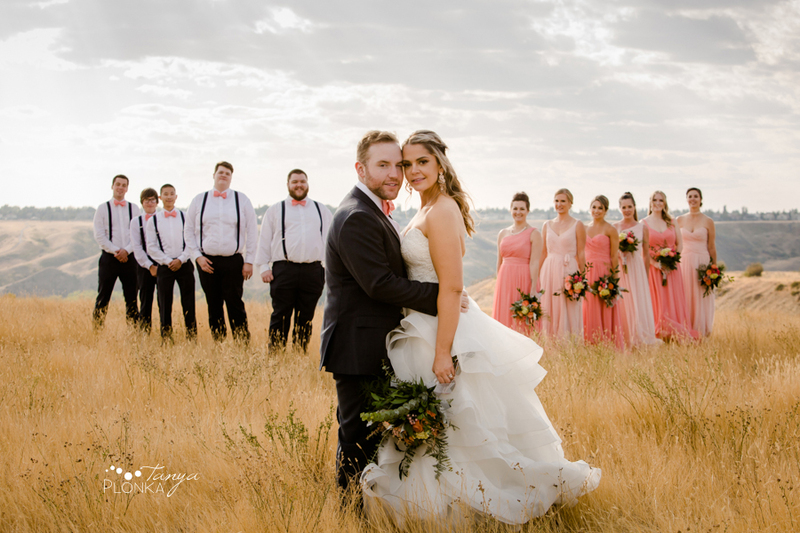 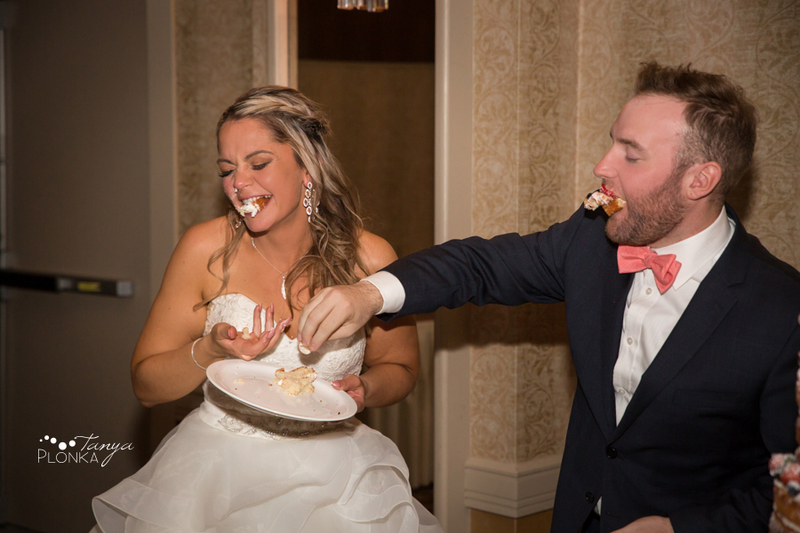 Krysty and Kole totally nailed their first dance choreography after their many dance lessons… even though it was Krysty’s first time ever doing it in the wedding dress. 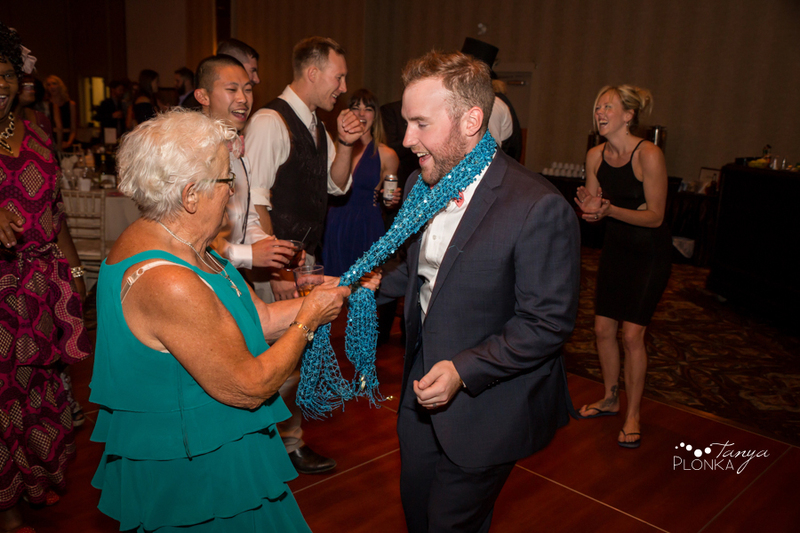 Kole started out with a group lesson on how to tie a bow tie, but gave up after a great struggle and much laughter and did everyone’s bow for them. 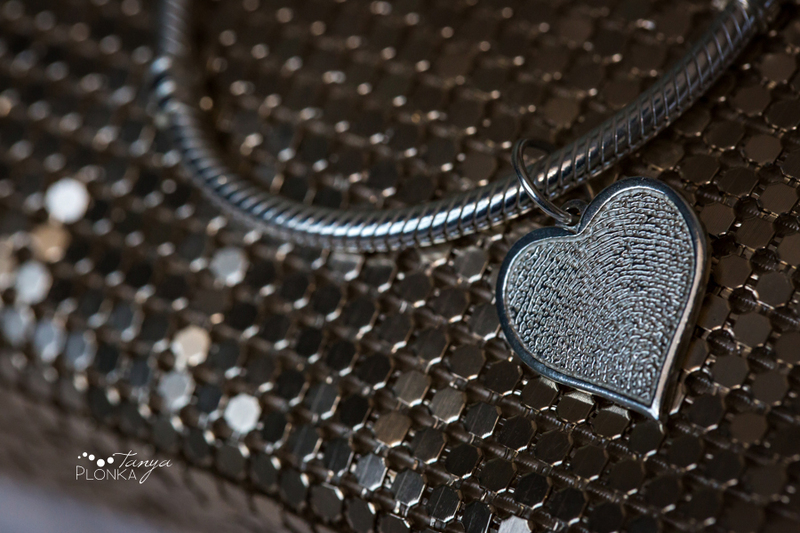 Krysty lost her father fairly recently but had a part of him with her for the whole wedding day with this bracelet featuring his fingerprint. 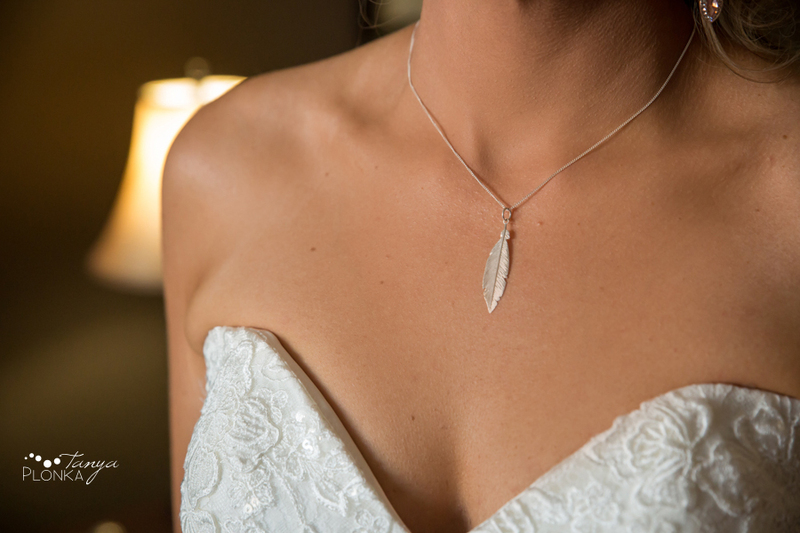 Kole bought this feather necklace for Krysty for the wedding day. 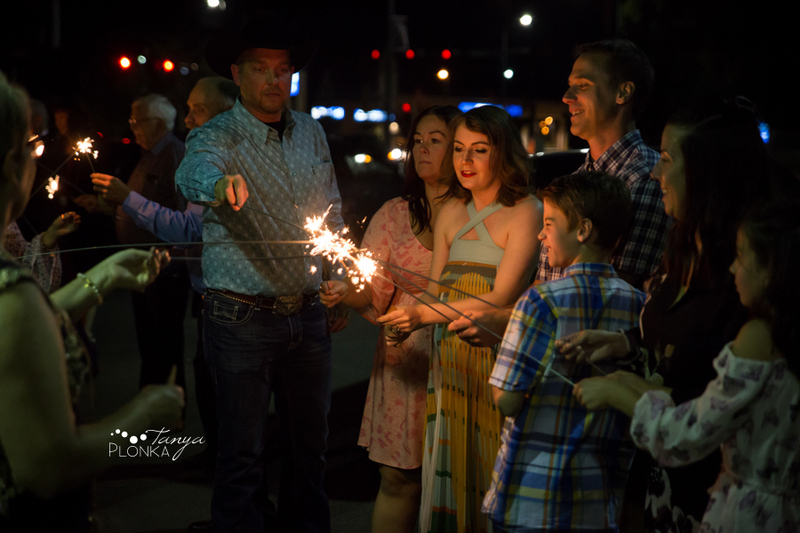 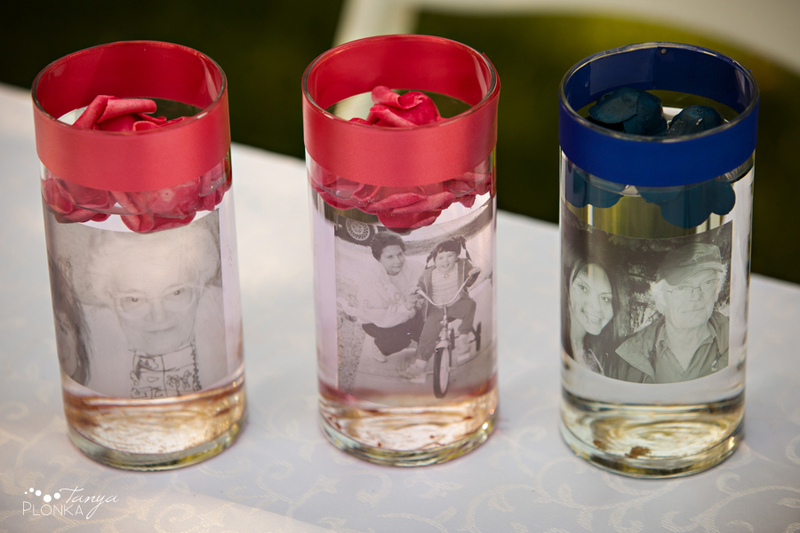 Memory candles were lit for special family members. 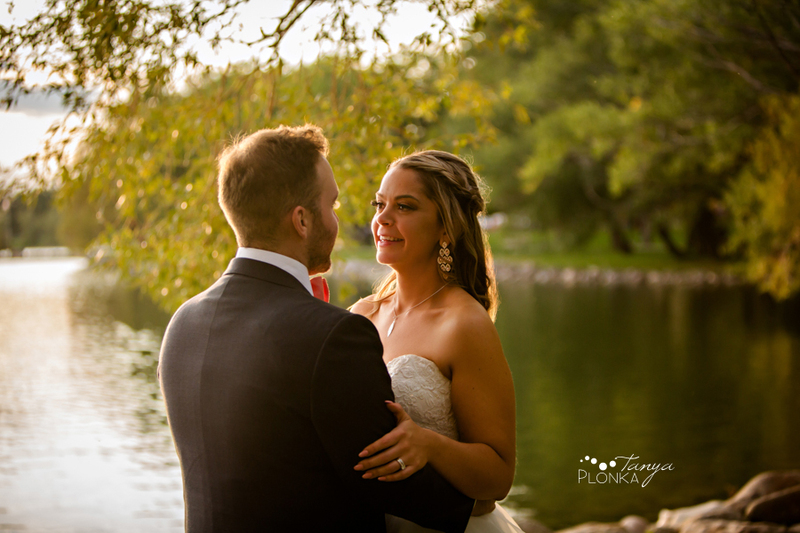 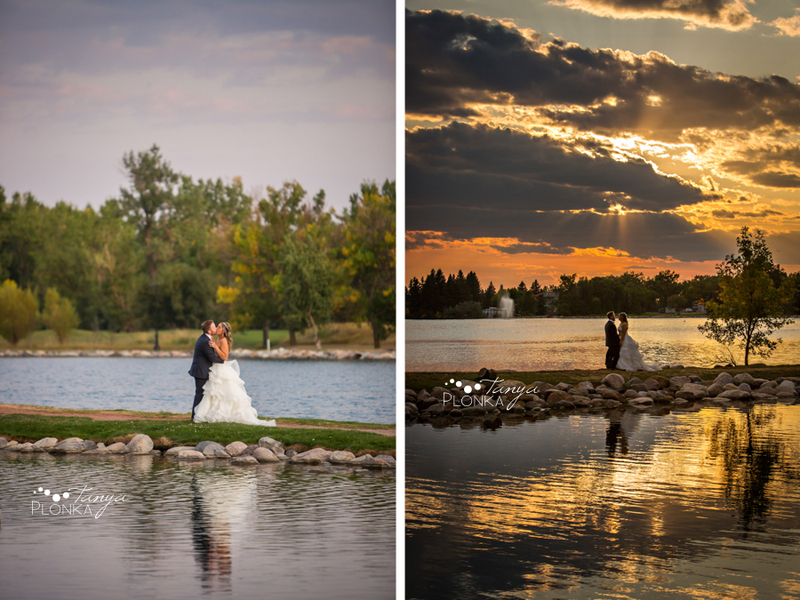 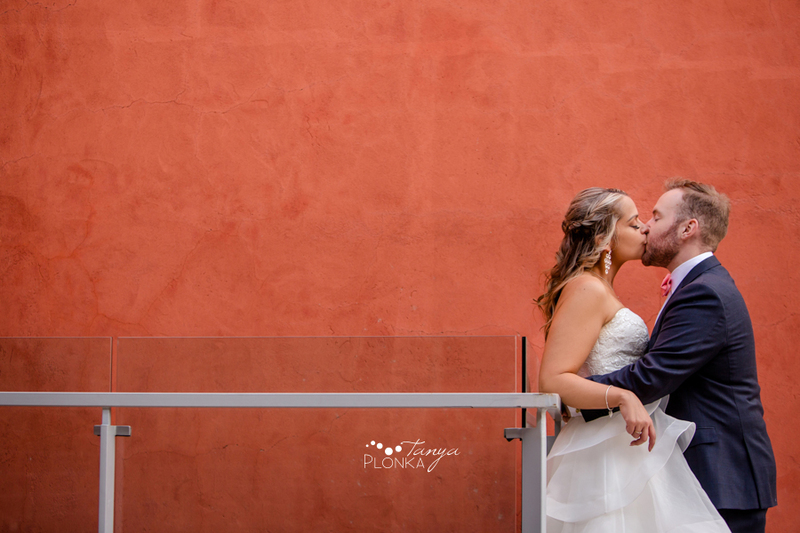 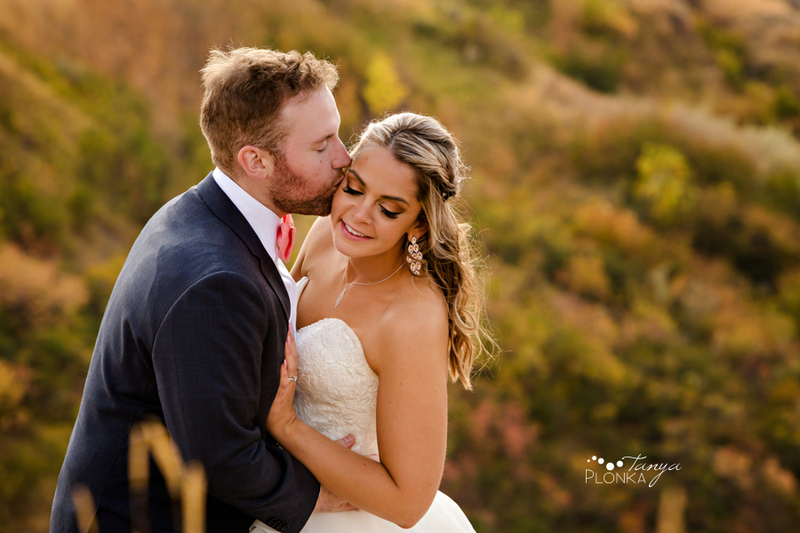 We were able to steal them away for a few minutes early in the reception to capture sunset photos at Henderson. 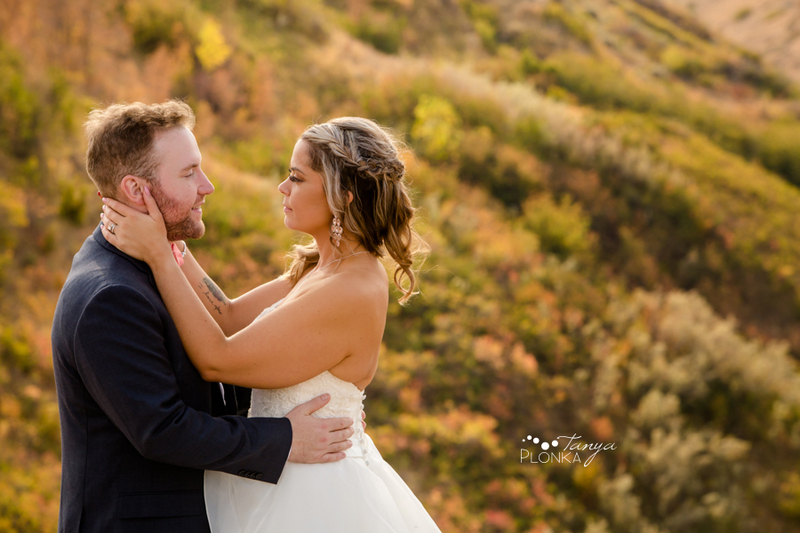 We were so grateful for the amazing clouds! 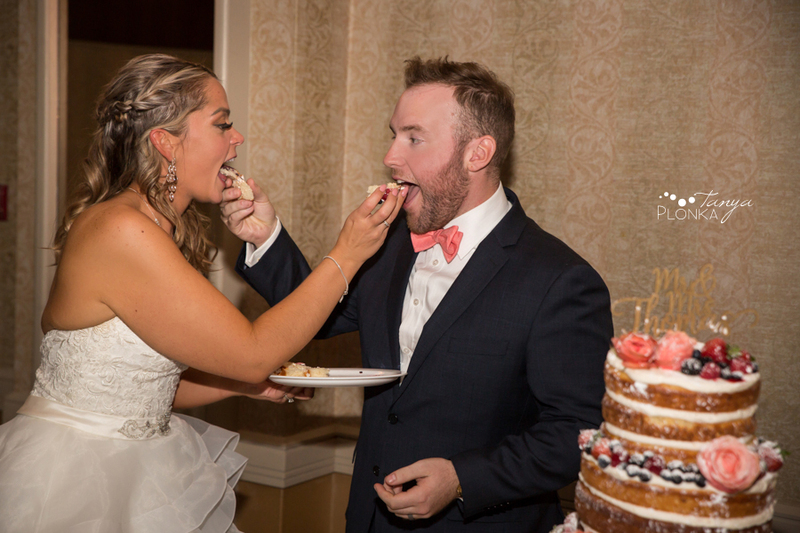 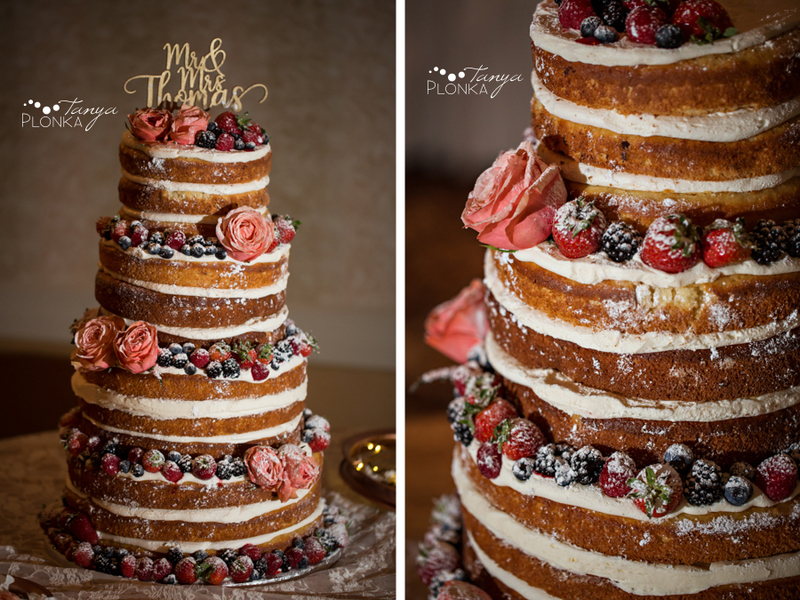 Their naked cake from Edible Elegance smelled even better than it looked! 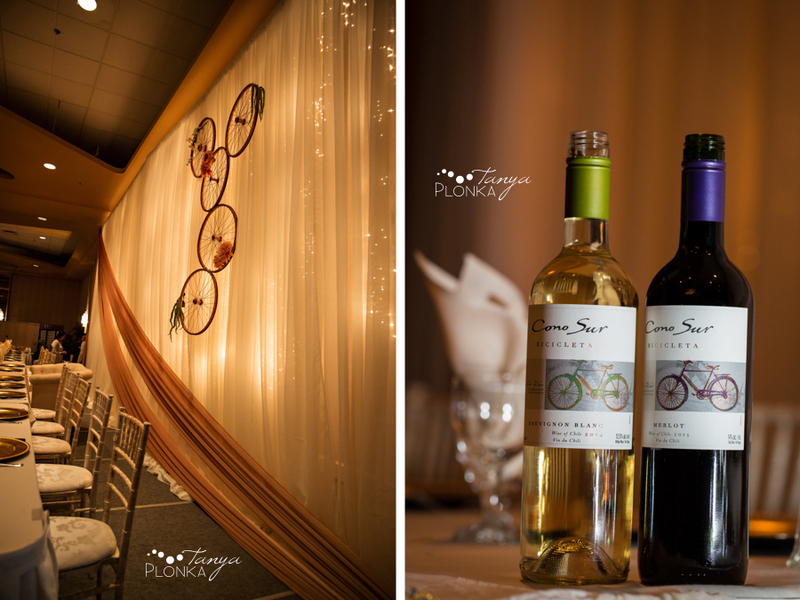 Even the wine matched the bicycle theme!